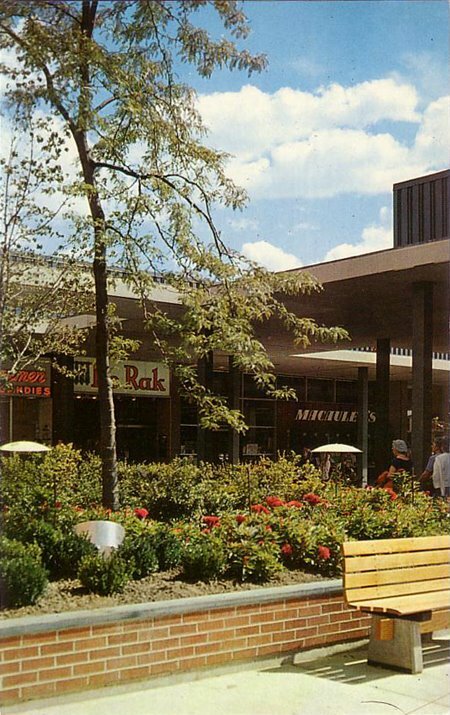 Quiet and picturesque little spot at one of metro Detroit's oldest shopping centers. This shot was taken in the South Lane portion of the Grand Court. 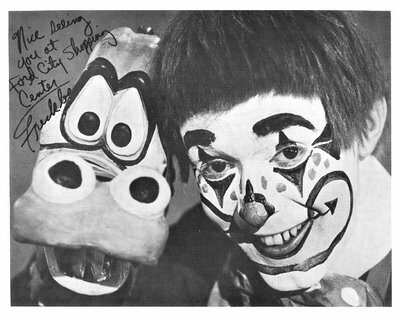 Above is a great vintage autographed photo that was handed out to kids at the Ford City Shopping Center during a 1969 public appearance by popular '60s Chicago TV kid show host, "Freckles the Clown" (Bill Jackson), along with his sidekick, "Dirty Dragon". These were the days when local TV hosts and personalities ruled the world, and would often make publicity visits to the local malls, shopping centers, and grocery stores to meet with fans. 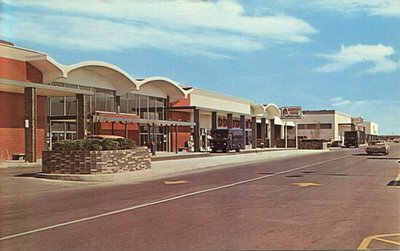 A shot outside of the Ford City Shopping Center early in its life. Can't see a whole heck of a lot of this shopping center from here, but it still looks kind of swanky to me. And I bet it was back in those days. I'll see if I can't scrounge up some interior shots soon. 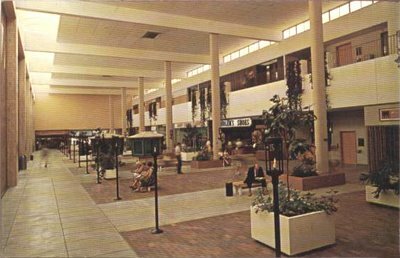 I'd love to what the mall looked like on the inside in its glory years. 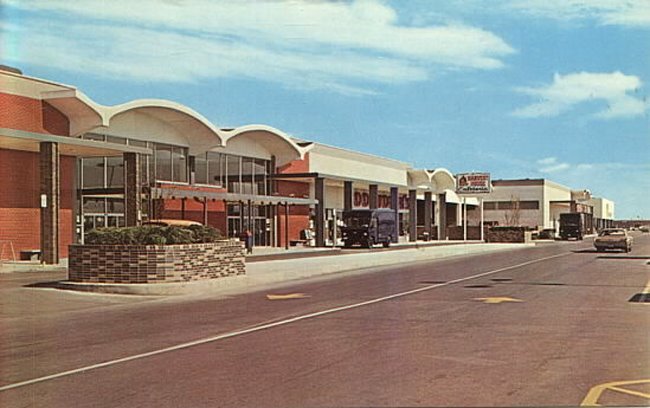 A lot of the architecture I've seen from the '60s and '70s out there on the Oregon Coast and surroundings, had a really cool rustic, pine-y vibe to it that I dig. I just like the feel of it all. 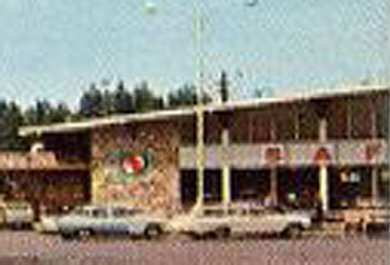 Anyway, in the main shot at the top, there's a Safeway on the far right, I can tell that much, and you can see the rather unique A-frame like entrance there in the middle, both of which I've blown up here for a better look. Though they didn't bear up well to much magnification, at least we can see things a little closer. 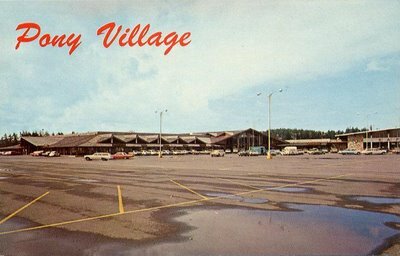 Here's Pony Village's current website. You know it (most of you), you love it, and here's the mid '90s slacker mall culture hit on DVD! 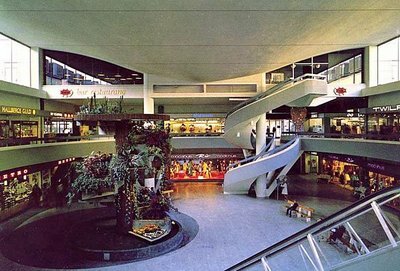 If you love anything to do with shopping malls, you gotta have this one in your collection. 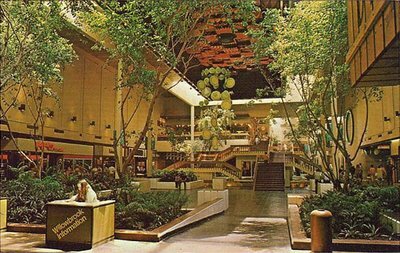 Because you don't hate shopping malls... Do you? "Brodie Bruce, a Sega and comic book obsessed college student, and his best friend, TS Quint, are both dumped by their girlfriends on the same day, and to deal with their loss, they both go to the local mall. Along the way, they meet up with some friends, including Willam, a guy who stares at Magic Eye pictures, desprately trying to see the hidden image; Gwen, one of TS's ex-girlfriends; and Jay & Silent Bob, of Clerks fame. Eventually, they decide to try and win back their significant others, and take care of their respective nemesises (TS's girlfriend's father, and a store clerk who hates the two for not having any shopping agenda)." I'm going to look around for a better photo of this mall. Till then, this one will have to do. Lincoln Square ("An Urban Village") is apparently still hanging on and trying to redevelop itself to stay afloat. 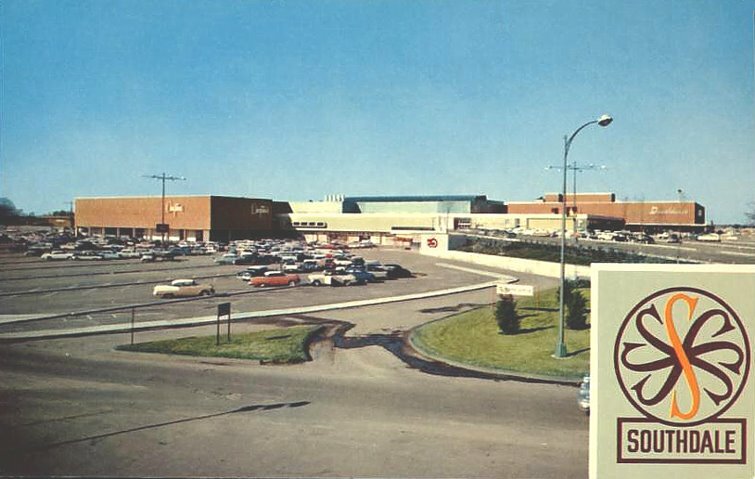 The mall's been around since the early '60s and carries a lot of great retro retail history with it. 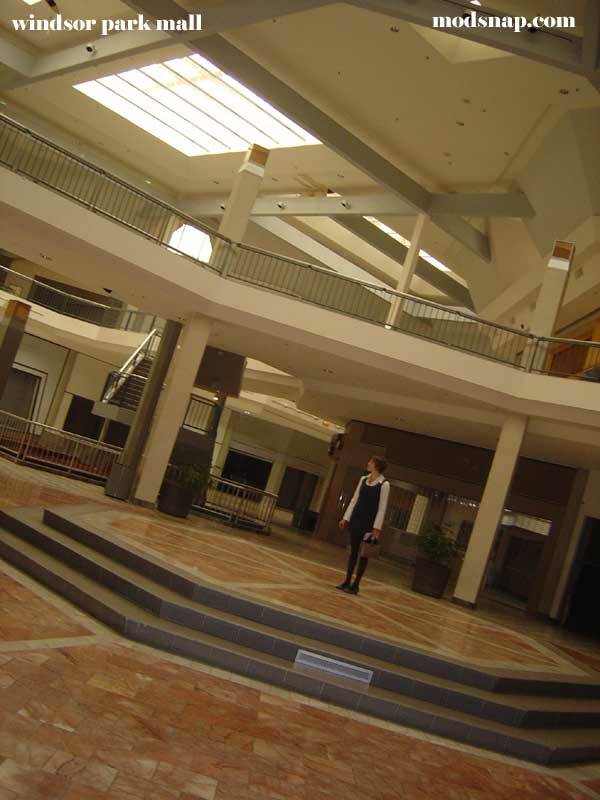 You can read a great feature on it over at Dead Malls. Here's hoping she can reinvent herself (in this case it's a must for its very survival!) and grow prosperous once more. If you live in the area, hey, go buy some shoes or a snowcone or pretzel or something there once in awhile, huh. The beautiful, Fountain Court, at Eastland Center. 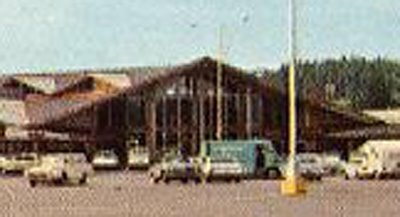 Eastland's current website is right here. 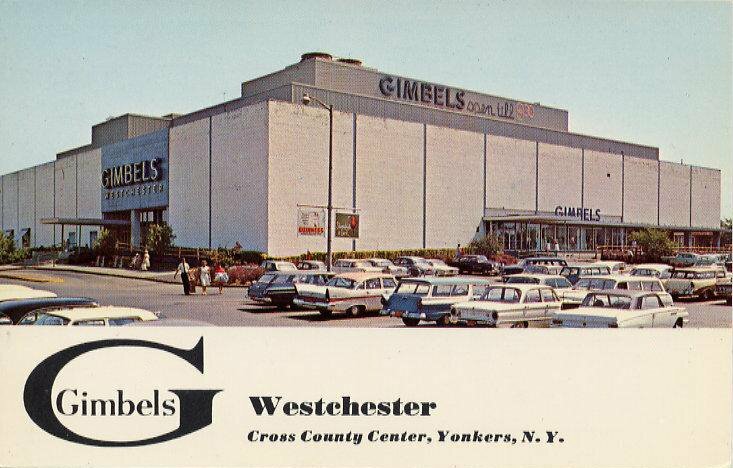 "Here is a companion to your terrific Gimbel’s photo from Yonkers. 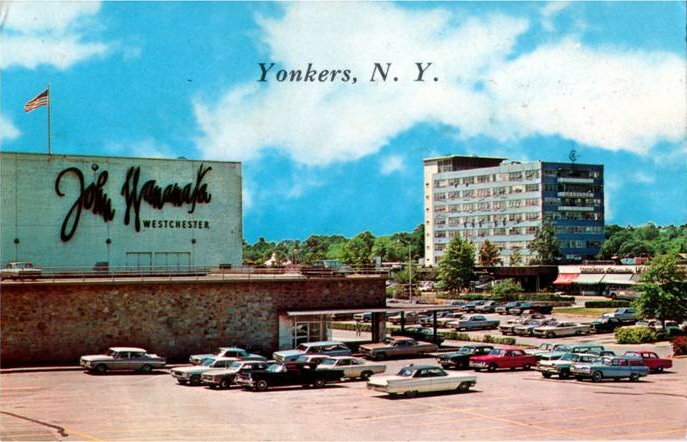 It’s the Wanamaker’s store across the parking lot. 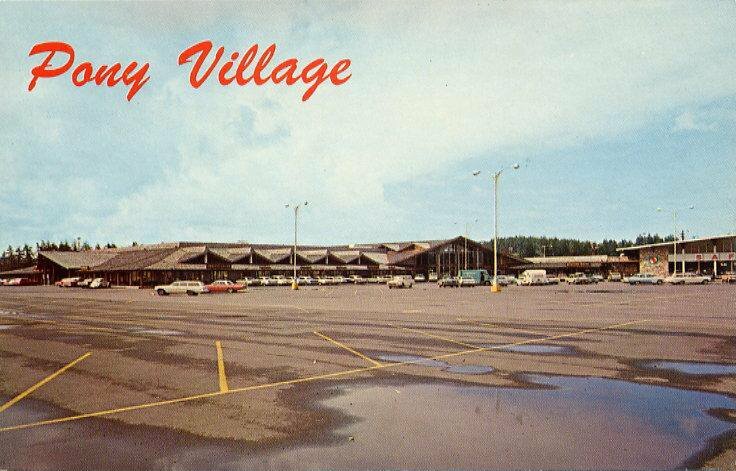 Judging from the cars, the photo would look to be from the mid 60’s. I love the way each store plastered the word ‘WESTCHESTER’ prominently on each of their buildings, ‘Yonkers’ being presumably too déclassé. 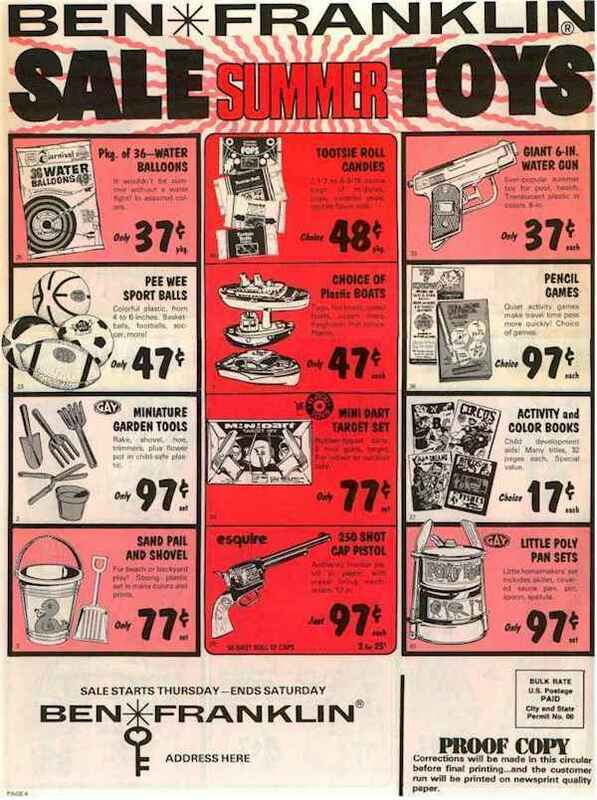 I remember both stores fondly. The Wanamaker store was way more fun than Gimbel’s as they seemed not to have changed anything from the day they opened until they closed down. Love your website. Keep up the good work!" 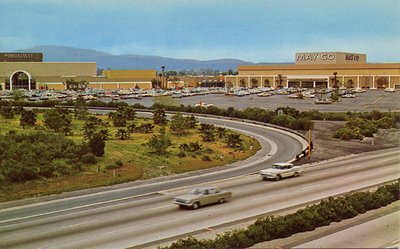 By popular demand I'm reposting my vintage shopping radio spots again so everyone who missed them the first time, can finally hear them as well. Enjoy! 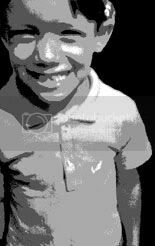 The files are all in a zip file in MP3 format, and hosted by Rapidshare. Hope it all works smoothly for everyone. Please drop me an e-mail or post here if you have any problems. Just follow the instructions closely at the download link (choose the "free" option), and you should be good to go in no time. It's all pretty self-explanatory, and a complete track listing is included in the zip. How's this one for that Space Age, futuristic look! 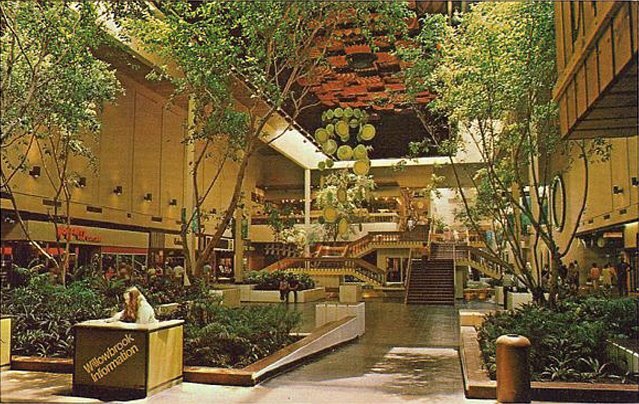 It's a veritable shopping mall fantasy dreamscape if ever there was one! 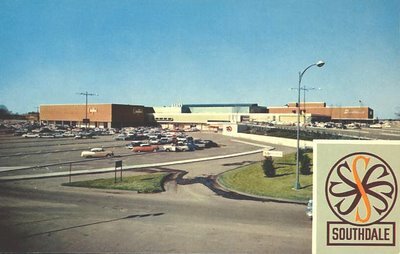 This is now the ginormous Tower Square retail/service space in Springfield, as the Baystate West Mall name is no more. 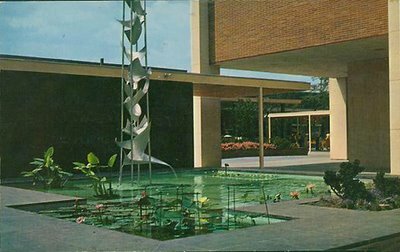 This beautiful photo (originally from an April '74 issue of Architectural Record) was kindly submitted by MOA reader, Jason Cawood, who related that the incredible giant mirrored cube piece in the center of the shot, actually slowly rotated in place! Just imagine that. Amazing. 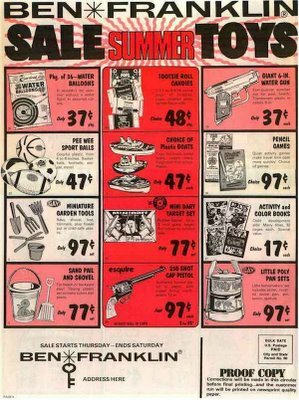 Yep, those were the days, folks. Click here to watch a preview narrarated by the author. 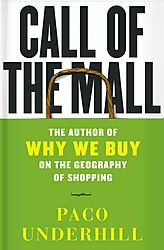 "Maybe you are one of those people who loves to spend time at the mall, but there are an awful lot of us who have mixed feelings about shopping and malls. 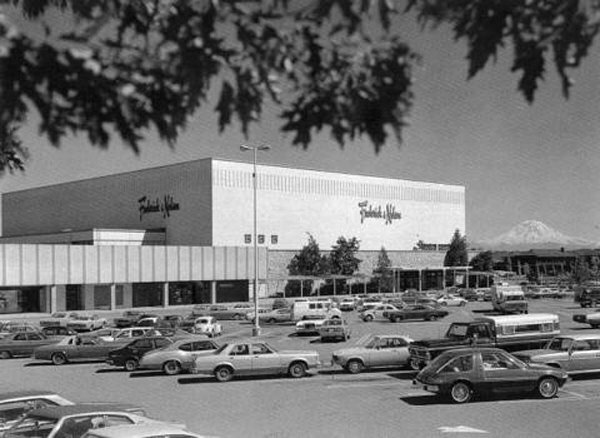 Paco Underhill, who seems to be a mall-lover, speaks to both enthusiastic and reluctant shoppers alike." No, this isn't a "mall of America". Surprising you a little today. As the caption says, it's in Sweden. 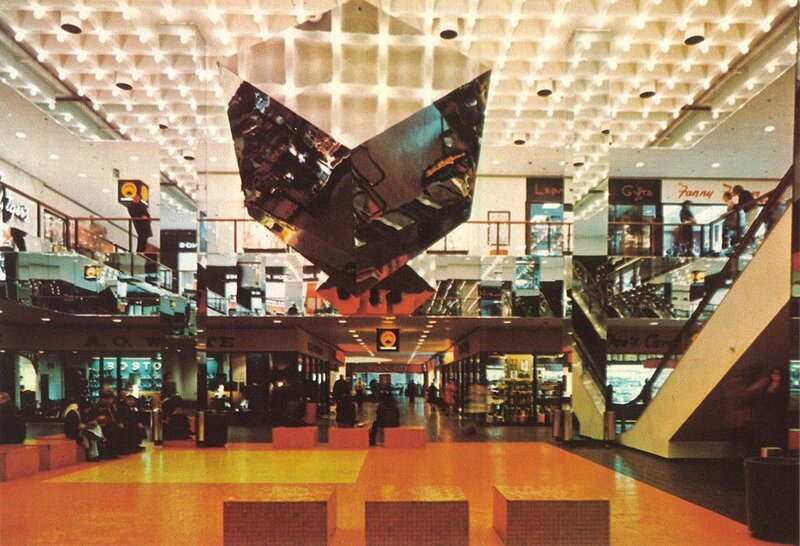 But it's just so shagadelically beautiful (and still in the spirit of this site) that I had to show it to you guys and, more importantly, point you to the source, where's there's more swanky retro Swedish shopping mall/architececture/lifestyle goodness to be had! Chris, who's an esteemed regular visitor of this here blog, publishes the Ultra Swank - Lifestyle Adventures blog from Sweden, and if you haven't visited him yet, I urge you to do so (I just belatedly added him to the links here). Good stuff over there, man! 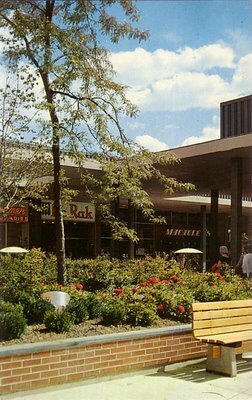 Citing the photo I blogged above as an example, he's done some wonderful retro Swedish shopping center entries of late, that anyone who digs Malls of America should find of interest, too. 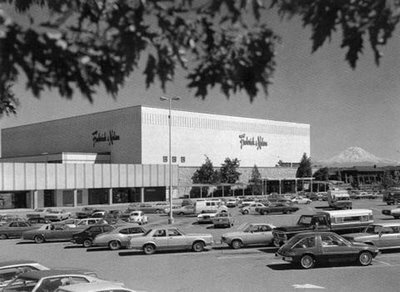 Very cool to see how malls in Sweden looked back in the day. Do check it out! 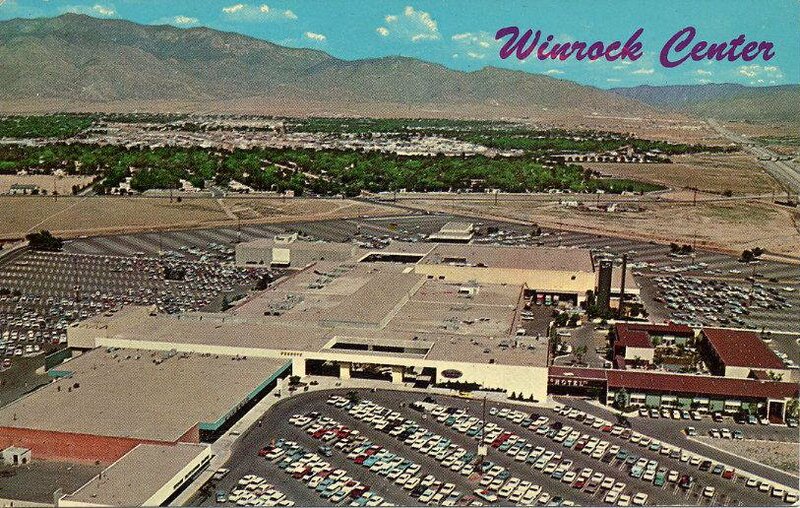 Like the Winrock entry below, this mall's website is currently gone. But I know they're undertaking a huge renovation and expansion right now (yippie), so I'm sure they'll get an official site back up in the future. 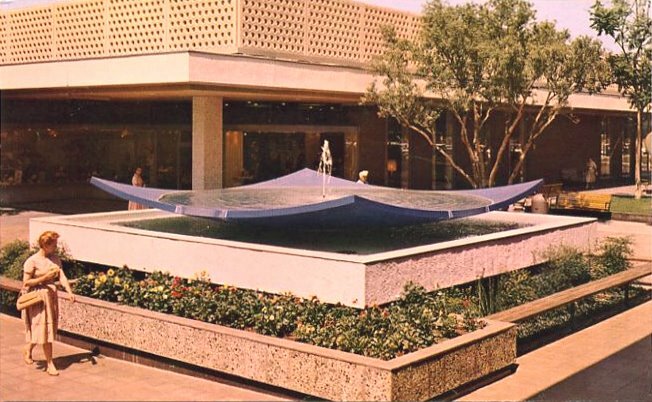 What a fountain! man, there's your Art Deco! 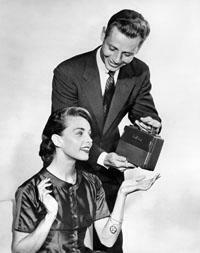 So thoroughly modern, isn't it? 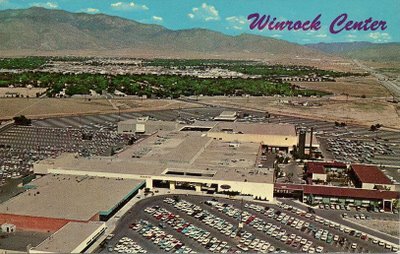 This beautiful vintage aerial postcard of the Winrock Center mall is just the ticket to get those retro shopping mall juices flowing again, don't you think? Stunning. I'd like to be in a helicopter in this scene, and land that bird right down there on the mall's rooftop when it's closed (yes, ala DAWN OF THE DEAD, hehe), and drop down into it and have the place all to myself! 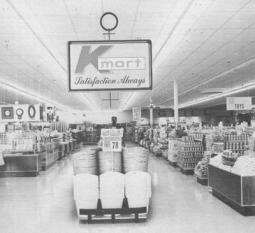 One-stop-shopping...everything you need right at your fingertips! Their old website address seems to be dead, so I'll update this entry later with a new one, assuming they have one and I can find it.